PLACER, Surigao del Sur – Two NPA rebels returned to the folds of law through the 30th Infantry Battalion (IB) on January 21 to 22, 2018 at its Headquarters in Sta Cruz, Placer, Surigao del Norte. The first surrenderee, alias Jun is a member of Militia ng Bayan (MB) of the New Peoples Army (NPA-MB) in Barangay Budlingin, Alegria, while the latest, alias Ted is a 22-year-old native of Surigao del Norte and member NPA Guerilla Front 16. The true name of the said NPA members is temporarily withheld for security reasons. The two also brought with them an AK47 and M16 rifle, magazines and several live ammunition. 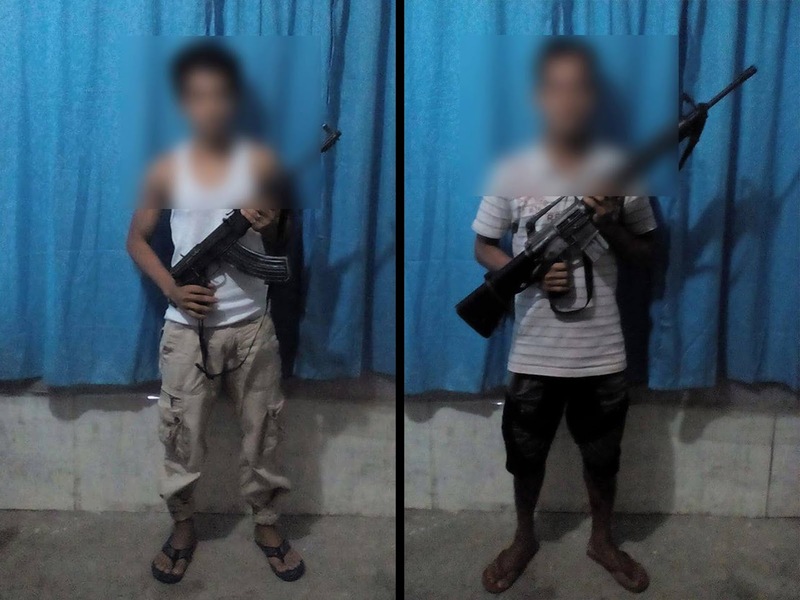 According to 2nd Lieutenant Jonel Castillo, the Spokesperson of 30IB, alias Jun is an active NPA supporter before the NPAs issued him an AK47 rifle and was tasked to spy on the government forces to conduct sniping, harassment and other tactical offensives in the said barangay. Meanwhile, alias Ted accordingly surrendered because he could take anymore the terroristic activities, discrimination, and unending extortion of the NPAs while failing to fulfill their promises and continues to punish the poor. In the message of Lieutenant Colonel Allen Tomas, the Commanding Officer of 30IB, he said that there are many benefits from the Government awaiting the returnees which why they should realize how the government wanted peace with them. "Yesterday, alias Jun surrendered and today, alias Ted. It is a sign that many of them wanted to go down and lay their arms in order to live a peaceful life,” he added. Lieutenant Colonel Tomas also urged those who are still with the "terrorist organization" as it is "not yet late." He said that the Government is open to their return and assistance is waiting if they choose to embrace a peaceful life with their families. The said surrenderors are now in the custody of the 30IB for proper disposition.